………. HECKER: Well, first of all, I think it’s not very likely to happen, [the meeting between Trump and Kim] . What’s significant in the current situation is they’ve actually said that they would be willing to give up nuclear weapons, you know, if their security is assured, and they’re not threatened. However, to think that’s going to happen in the short term is just not realistic because to build a nuclear weapons program, it’s an enormous number of facilities. It’s a large number of people. It took, well, more or less 50 years but particularly the last 25 years to get to where they are today. They’re not going to turn that over overnight. 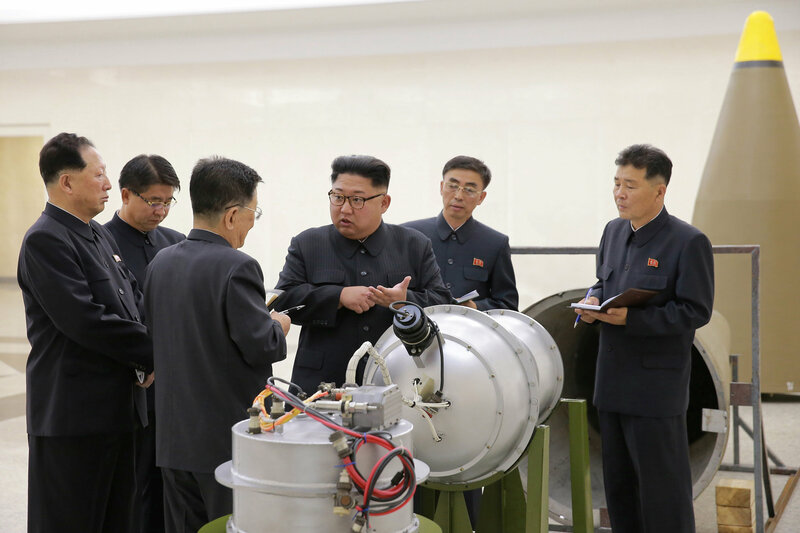 …….. MONTAGNE: Well, short of full denuclearization, what other steps could North Korea take to prove, you know, its sincerity in this? HECKER: So there are very important steps. And one can lay those out. In other words, I look at the things that are highest risk. And those are the things you want them to stop first. So two that were highest on my list – they have, for the time being, said they would do a moratorium. And that’s no more missile tests and no more nuclear tests – because to increase the sophistication of your bombs, you have to do more nuclear tests. The next one would be not to make any more bomb-grade material, which means stop the operation of the reactors. All three of those are verifiable. The problem is on the bomb-grade material, you can also go the uranium route. Those are the centrifuge halls. We know where one of them is. We don’t know where the other one or two are. And that will be extremely difficult to verify. And that’s going to take a long time and a real detailed process with them to get there. MONTAGNE: From what you know of North Korea from your time on the ground, are they motivated to use these weapons? Is this something to really be afraid of? HECKER: What I worry about when it comes to the weapons is – one is capability. Second is motivation. And capability – for many years, I was able to say, look. You know, they have the bomb, but they don’t have much. They don’t have a nuclear arsenal. Then comes the motivation part. And would they be motivated to go ahead and attack the United States, Japan or South Korea basically out of the blue? I say absolutely not. They want those weapons to make sure to protect them. Perhaps they want the weapons so that they actually have sort of sufficient maneuvering room, you know, on the Korean Peninsula. What I’ve worried about is not so much that they’re motivated to attack us but rather that we’re going to stumble into a nuclear war.